Chinese microblog Sina Weibo has introduced its ‘user contact’ system in full today, after the initiative — which gives users a list of terms and conditions for the Twitter-like service — completed a near three-week trial period. The regulations, which we outlined when they were first published earlier this month, include a points system which will dock users for breaching the terms and the creation of a user committee who will enforce them, and mediate any issues. As you’d expect, given the Chinese government’s ongoing crackdown, a number of the clauses are open to fairly broad interpretation, and that has caused concern among Sina Weibo’s user base, which recently passed 300 million registered microbloggers. In spite of the strong wording, Sina already has an active rumor control team that polices its platform for ‘unsuitable’ content, so much of this is simply confirming practices that have been ongoing for some time. The process of censorship itself is now in black and white (albeit open to interpretation) and so too is the policy of removing persistent offenders. Weibo users start with 80 points, those whose accounts reach 0 can be deleted by Sina. Interestingly, we spoke to a number of Weibo users, a high proportion of whom were unaware of the existence of the user contract, let alone that it is being introduced today. 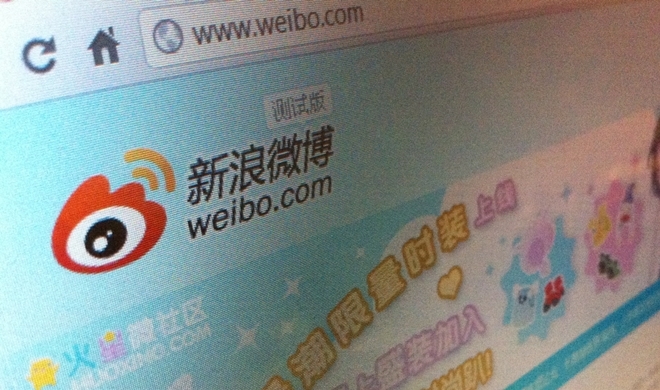 The rules are unlikely to affect most Weibo users and their content, leaving many unaware of the introduction. Sina recently admitted that it has failed to fully implement the real-name verification rule that Chinese authorities introduced in March, which is aimed at making microbloggers more accountable for information that they post. The company fears further actions from the state for this and, with that in mind, the user contract is a move to appease authorities. Sina was reprimanded by the Chinese government for failing to adequately control its service when rumor of a political coup spread like wildfire in April. Its punishment saw its comment feature deactivated for three days to allow the service to be ‘cleaned’. Update: It is worth noting that there is no obvious sign of the points system being introduced as yet. User profiles do not contain new scores. We’ve reached out to Sina for more details about the implementation.